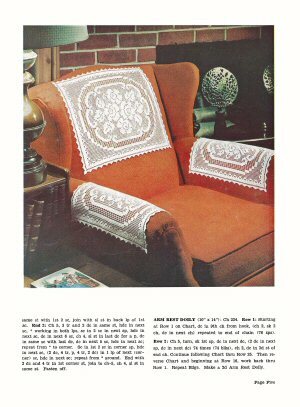 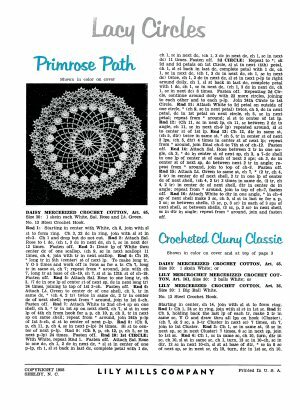 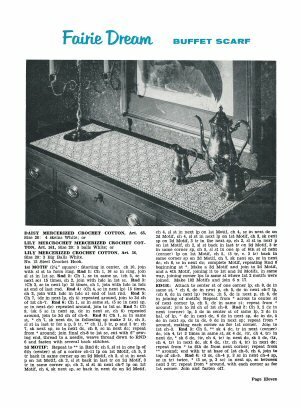 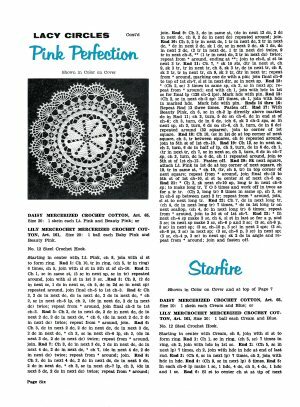 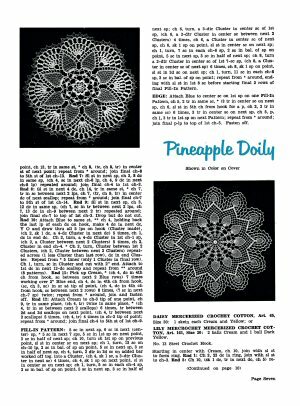 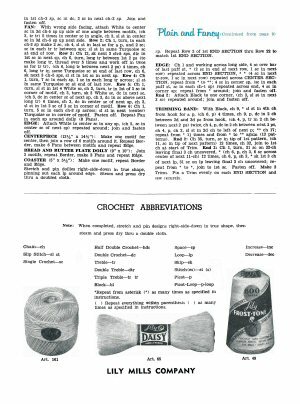 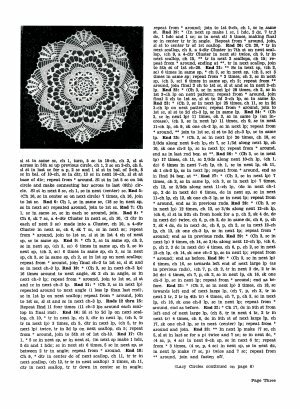 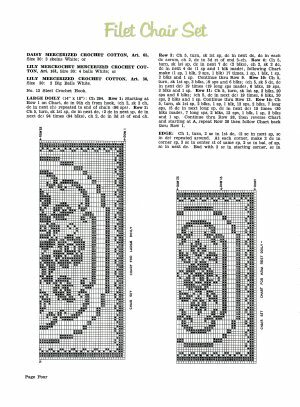 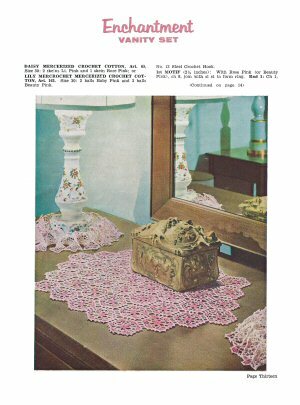 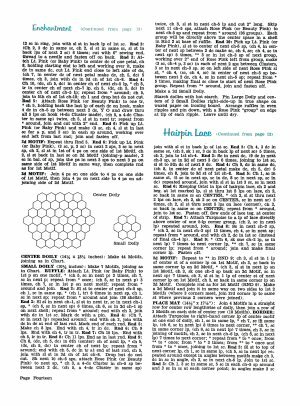 Patterns for multicolor doilies, chair protectors (antimacassars), and other small covers. 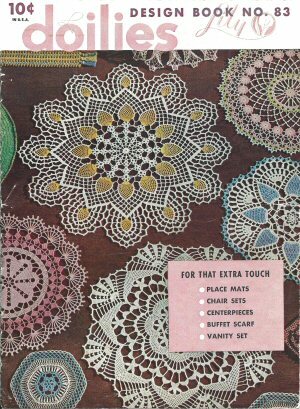 One charted filet crochet project. 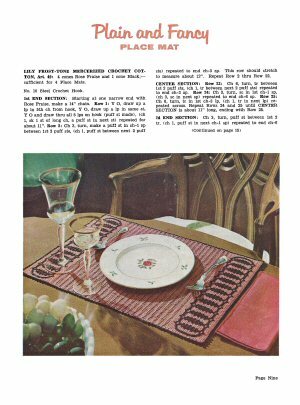 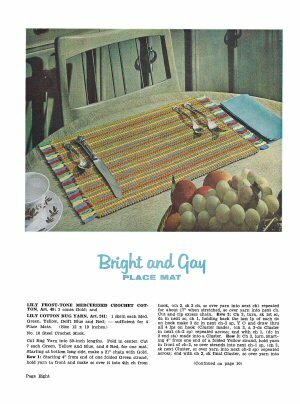 Two heavy multicolor placemats; buffet table top, hairpin crochet placemats. 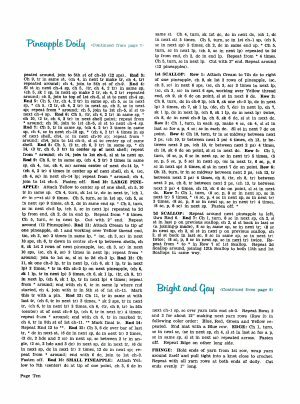 Instructions in prose, American notation. 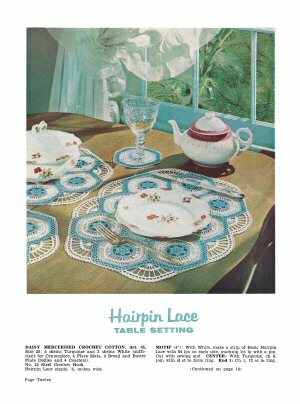 Very 1950s in style.